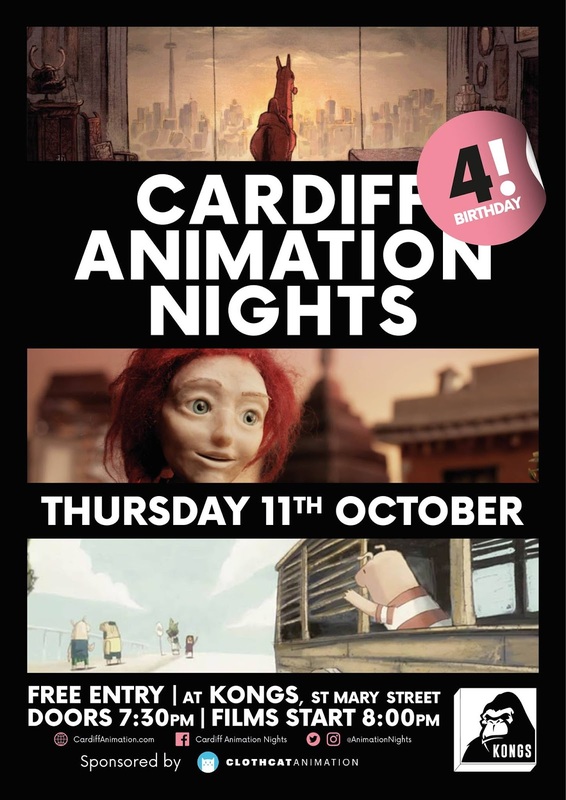 This week the fantastic Cardiff Animation Nights team will be celebrating its fourth birthday and I'm very honoured to say that Sunscapades will be among the short films screened on the night! 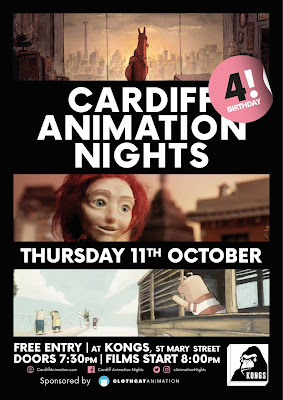 These folks have been doing fantastic work over the years that recently culminated in their successful revival of the Cardiff Animation Festival on top of their regular meet-ups and soirées. Among the other films being shown will be Lucia Bulgheroni's Inanimate and Weekends by recent podcast guest Trevor Jimenez. If you haven't been to one of the events before you should definitely treat yourself as it's always a good time. This one will take place at Kongs from around 7:30pm this Thursday (11th).